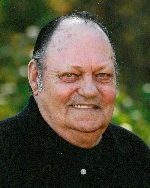 Robert Charles “Bob” Appel Sr., 80, born July 8, 1938, in Belleville, IL, died Thursday, August 2, 2018, at Memorial Hospital, Belleville, IL, with his family by his side. Mr. Appel was a letter carrier for the Belleville post office for 36 years before his retirement and was a member of the National Association of Letter Carriers, Branch 155. He graduated from St. Luke’s Catholic Grade School in 1952 and from Cathedral High School in 1956. Bob was a big sports fan and especially enjoyed watching the St. Louis Cardinals. He was a U. S. Army veteran. Robert was preceded in death by his wife of 35 great and beautiful years, Rita Marie, nee Daesch, Appel, whom he married on November 3, 1973, and who died on September 4, 2008; his parents, Lester T. and Ann M., nee Georgal, Appel; a great-grandchild, Gianna Riester; a sister, JoAnn Edmundson; and four brothers-in-law Rodger Glueck, Wayne Saeger, Harold “Butch” Gaubatz, and Howard Edmundson. Memorials may be made to the Juvenile Diabetes Research Foundation or to the American Diabetes Association. Condolences may be expressed to the family online at www.rennerfh.com. Visitation: Friends may visit with the family from 4 to 8 p.m. Sunday, August 5, 2018, and from 9 to 11 a.m. Monday, August 6, 2018, at George Renner & Sons Funeral Home, Belleville, IL. Funeral: Funeral services will be held at 11 a.m. Monday, August 6, 2018 at George Renner & Sons Funeral Home, Belleville, IL, with Fr. Donald Blaes officiating. 8 Comments on Robert Appel Sr.
Rob- so sorry to see this. Prayers for you and your siblings. This is why we lean on the everlasting arms. Sorry For Your Loss. Please accept this electronic message in lieu of a Sympathy Card. Local National Active and Retired Federal Employees Association (NARFE) volunteers provide help in reporting the death of any federal civilian retiree or a retiree’s spouse to proper authorities. They will explain the process as needed and if requested, can report the death to the Office of Personnel Management (OPM 888-767-6738) for you. They can also assist in filling out claim forms for survivor benefits and life insurance You may call either of our Service Officers, Jim Haley at 618 795-5174 or Ben Brown at 618 624-8007. If unable to reach either one, you may call our alternate, Dean Hemmer at 618 233-3819. Please except my sincere condolences for your families loss and during this difficult time. May you all find comfort in the support you have from each other. For obituaries prior to 2015, please contact us and we will be happy to provide you with a copy.